It is possible for there to be too much water in your yard. Whether it is due to excessive rain, a break in your irrigation system or a nearby body of water that overflowed, excess water can be damaging to the plants in your yard. 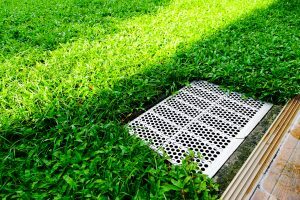 When designing your yard, landscape drainage needs to be taken into consideration. There are multiple techniques that can be used and a professional can help you decide which drain system would be most efficient for your yard. However, it is a good idea to educate yourself on the do’s and don’ts of drain systems so that you can make sure the job gets done right. One of the most common types of systems uses a catch basin, fittings and pipes. 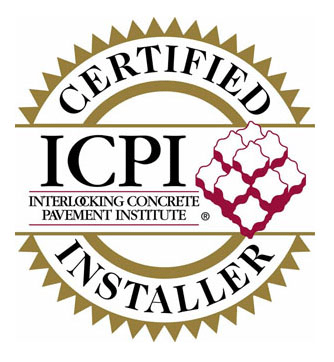 When installing this system, it is important to pay attention to the types of materials used as it affects the effectiveness of draining water. For example, when selecting fittings, there are many different types available. However, certain ones should be avoided. Both short and long 90 degree fittings can be purchased, but a short 90-degree fitting should never be used in a drainage system. Additionally, a Sewer and corrugated pipe should never be used for landscape drainage. These pipes are too thin and can have expensive problems in the future. When the drainage system is being installed, it is important to pay attention to the grade of the yard. There needs to be a positive grade meaning that the water you are draining needs to be higher than where it is draining to. In fact, a proper slope requires that there be a one inch drop for every ten feet of pipe. Your yard can be lowered or raised by adding or removing soil to accommodate the proper slope. However, it is important to always leave at least one inch of foundation showing around your house. Landscape drainage is important to prevent unwanted water damage in your yard. A professional drain contractor can help you meet the necessary requirements for a successful drain.